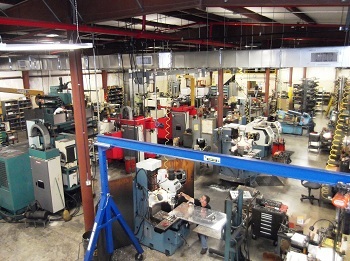 Custom Tool & Die, Inc. is a long-standing, reputable precision machining company that has been in business since 1973. Established by William Woratyla and currently owned and operated by his son, Joe Woratyla, we have expanded our operations into our present location in Mountville, Pennsylvania, which is in excess of thirty thousand square feet. No job is too small or too large to escape complete inspection and acceptance prior to shipment. Additionally, customer satisfaction can not be attained without on-time delivery of quality parts at a competitive price. As our name implies, Custom Tool & Die, Inc. has the capability to manufacture custom machine parts, dies and die repair, sub-assemblies and complete assemblies as well as handle all forms of machining from thousand piece runs to one piece prototypes.